World Water Day is coming up March 22! World Water Day is an annual UN observance day that highlights the importance of our most precious natural resource. Water scarcity, water pollution, inadequate water supply, lack of sanitation, and the impacts of climate change are all very real issues all over the world. World Water Day aims to inspire people around the world to learn more about water-related issues and to take action so we can defend and promote the human right to water. 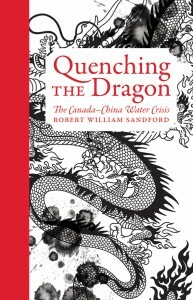 In this latest RMB Manifesto, Canadian freshwater expert Robert Sandford takes readers to China and shares what it is like to deal with some of the most intractable freshwater problems in the world. Part environmental manifesto, part travelogue and part diplomatic odyssey, Quenching the Dragon arms readers with vital new perspectives on global hydrology and sustainability in the context of how former and current world leaders frame the most pressing environmental issues of our time. 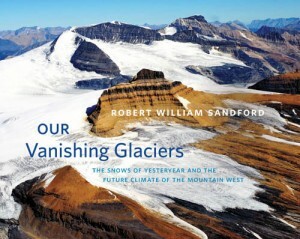 This remarkable and beautifully illustrated book chronicles the history of Canada’s western mountain glaciers through stunning photography, personal reflection and the most recent scientific research. Human beings and industrial-based society are changing the composition of our planet’s atmosphere and causing it to warm at an unnatural and oftentimes astonishingly rapid rate. 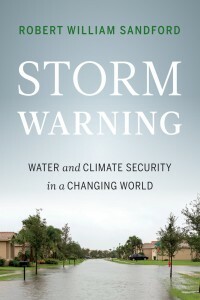 This highly considered, accessible and readable book explains how changes in the water cycle have already begun to affect how we think about and value water security and climate stability and what we can do to ensure a sustainable future for our children and grandchildren. Fresh water is essential to both the ever-expanding human population and the ever-threatened natural landscapes that surround us. 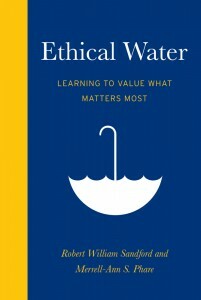 This ground-breaking and approachable work, by two of Canada’s most authoritative experts on water issues, redefines our relationship with fresh water and outlines the steps we as a society will have to take if we wish to ensure the sustainability of our water supply for future generations. First Nations are facing some of the worst water crises in Canada and throughout North America. Their widespread lack of access to safe drinking water receives ongoing national media attention, and yet progress addressing the causes of the problem is painfully slow. First Nations have had little say in how their waters are, or are not, protected. 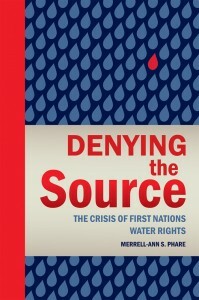 This book is a call to respect the water rights of First Nations, and through this create a new water ethic in Canada and beyond.